So when we decided "Roofless" was in good enough shape to submit it to the New York Musical Theatre Festival, it called for a new round of demo recordings for the new songs and rewrites. We called on some of our favorite highly talented Roofhead alums, got to work with a coupla new folks and even reached back to our MugTown roots (Okmulgee, OK) to reunite with Jerome's classmate Tamisha who used to sing hooks for us back in tha day. We've written lots about NYMF on the blog so feel free to jump back and read the details. Out of 500 entries, we were one of 30 musicals selected. The talented vocalists who volunteered to work with us on these demos helped make this possible...no joke. Alan H. Green as "Father"
Marquis Rodriguez as "Lil Man"
Adam Matta as the voice of "Tagz"
Crystal Joy as "The Devil"
Our first steps into the realm of professional Broadway Musical Theatre came in 2004 when "Roofless" was discovered by Stephen Schwartz and ASCAP's Michael Kerker. 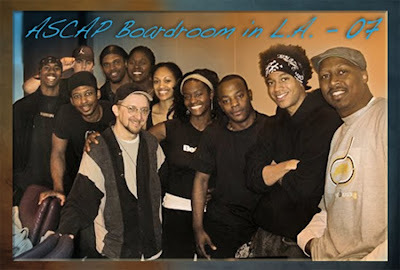 We were invited to workshop a preview at the ASCAP/Disney Theatricals Musical Theatre Workshops in Burbank, CA. This part of our story is pretty well-covered in the rest of our blog. * performers originally from Tulsa who joined us in LA. What followed was several years with multiple table readings (about every 6 to 10 months) juried by Stephen Schwartz, Michael Kerker and a table full of other industry professionals. We would usually do a reading of ACT I, say goodbye to our actors and spend the next hour getting critique and advice from the panel. 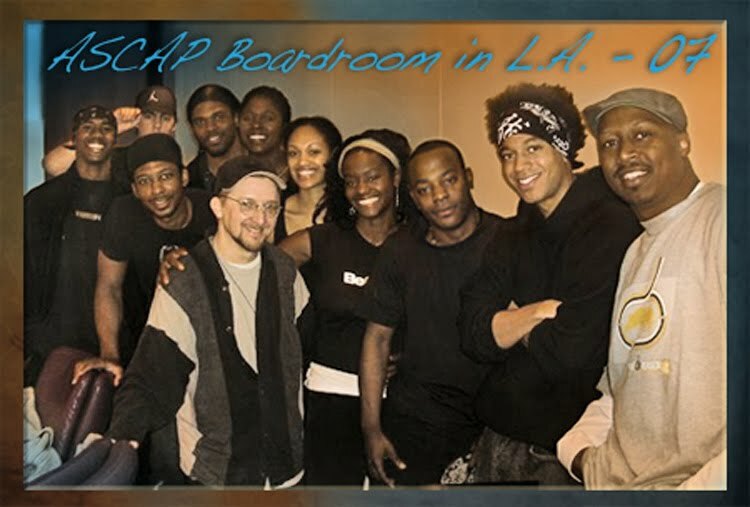 ASCAP also set up a week-long workshop on the "Roofless" book (story & script) for us. This was conducted by Kevin Bannerman and Stuart Ross. Huge thanks to them as well! In 2005 at the start of the Table Reading period, we needed to record some new demos to play during the readings. Some of the very best vocalists in Tulsa - from R&B, Gospel, Musical Theatre & Opera - came together and volunteered endless hours learning the material so we could record in a live setting (not pieced together from multiple studio takes) to get the "cast recording" vibe. The results were pretty amazing as you can hear below. As a final step, we did a Tulsa table reading in 2009 as a final test of the newest updates before we submitted the show to NYMF. Production assistance from Dionne White & Nita Smothers. The event was videotaped for us by James Sims and Chris Johnson.